RETROFIT YOUR GARAGE OR SMALL WAREHOUSE WITH SURFACE MOUNT LED CANOPY LIGHTS - UP TO 9000 LUMENS. The RCM Series Parking Garage Luminaire is an innovative solution that delivers an unparalleled combination of performance and visual comfort. Choose from 3 wattages and optional motion sensors to suit your residential or commercial parking garage lighting needs. Also great for closets, storage areas, walkways and and smaller warehouses. 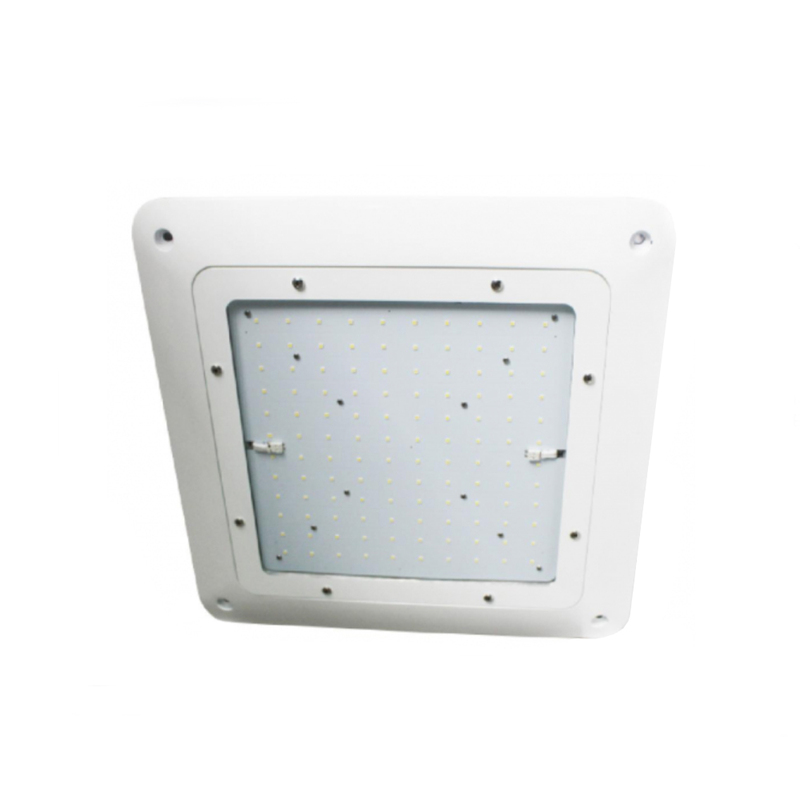 This series evenly illuminates gas stations, tunnels, or recessed lighting canopies with LED Light. The classic design of this luminaire is seamless, efficient and long lasting. 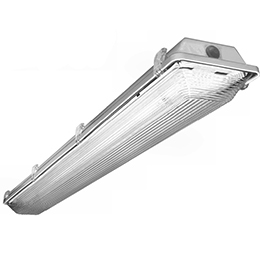 SPECIFICALLY MADE FOR PARKING GARAGES, FOOD PROCESSING FACILITIES, KITCHENS, SCHOOLS, INDUSTRIAL FACILITIES, AND PUBLIC REST AREAS WHERE VAPOR TIGHT, DUST AND MOISTURE PROOF LIGHTING IS REQUIRED. 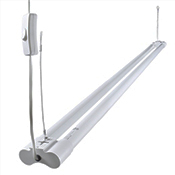 Waterproof, long-lasting and with low energy costs, LED vapor tight light fixtures are ideal for locations where lighting could be exposed to the elements. Choose from multiple wattages and optional motion sensors and battery back-up options. Specifically made for indoor maintenance and workshop areas. 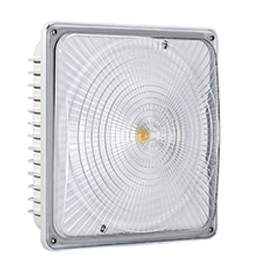 We highly recommend this led workshop light fixture for residential garages, and other indoor work and hobby areas. It is UL Listed and Energy Star Rated. 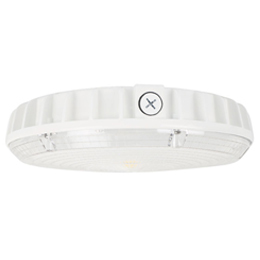 Versatile enough for a variety of applications such as security, parking garage and soffit lighting our LED Ceiling Mount fixture uses high-powered LEDs for maximum performance. Our Ceiling Mount fixture can significantly reduce your energy consumption and eliminate the headaches, inconvenience and expense associated with maintaining and re-lamping traditional ceiling mount fixtures.